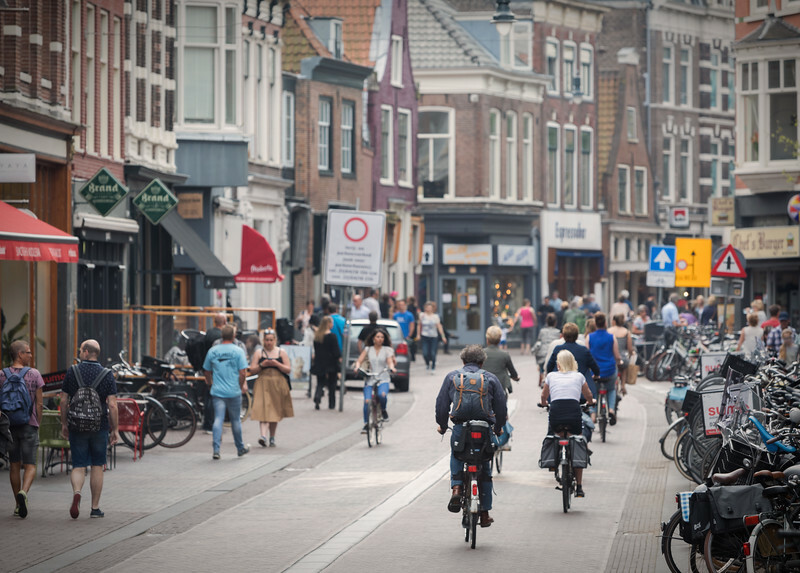 Photography by Andy Webb, Visionova Inc.
By necessity, bicycle traffic is quite orderly across the Netherlands. Formal car and bike lanes are present along most major routes. It's important to constantly be observant across all lanes. I was amazed at how easily riders adapted to the flow of pedestrians and share the road. In Amsterdam, tourists are often caught off guard (while walking through bike lanes) by oncoming bikes. Riders were less forgiving amid heavier car and bus traffic. All images and text ©2018, Visionova, Inc. All rights reserved.